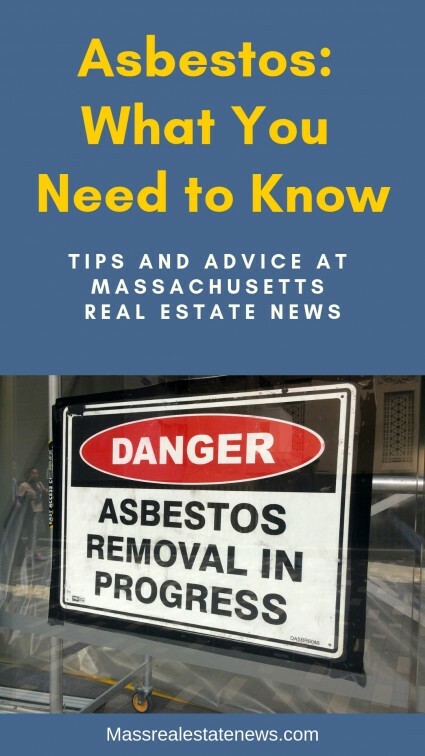 Those who are considering purchasing a home may come across asbestos and wonder what it is and what are the dangers. Ever since its discovery more than 4,000 years ago, asbestos has been used for many purposes mainly because of its fireproof properties. Add to that its resistance to electricity, water, and chemicals, and asbestos eventually became one of the most widely-used minerals in the construction industry. For decades, asbestos, which occurs naturally as bundles of fibers and can be typically found in rocks and soil, was a vital component in cement, drywall, floor tiles, siding, shingles, and insulation, among other things. Eventually, other industries picked up on the “wonders” that asbestos offered, and decided to incorporate the mineral in everyday products, from hair dryers to baby powder. However, things started going downhill when as early as the first few years of the 20th century, people who handled asbestos regularly started getting sick. In 1906, Dr. Hubert Montague Murray, a lecturer in pathology at London’s Charing Cross Hospital, published the case of a deceased asbestos textile worker who was found with asbestos fibers in the lungs after an autopsy. The worker, who had been suffering from lung disease, eventually became the first reported case of fatal asbestosis in the modern era. As the years rolled by, report after report of people dying from asbestos-related illnesses gradually crept into the public consciousness. Still, it took years for asbestos to be classified as a human carcinogen. It wasn’t official until 1976, and only then did calls for banning asbestos in workplaces in the United States started to mount. Mesothelioma—Every year, about 3,000 people in the United States are diagnosed with mesothelioma, which affects the pleura or the thin lining of the lungs, and the peritoneum or the membrane that lines the abdomen. From 1999 to 2015, eight people in one million died from this rare type of cancer, whose symptoms include shortness of breath, dry cough or wheezing, fluid around the lungs, fatigue, chest or abdominal pain, fever or night sweats, and muscle weakness. Modern medicine has yet to discover a cure for mesothelioma, the disease most closely associated with asbestos. Asbestosis—Long-term exposure to asbestos fibers can lead to asbestosis. Although not a type of cancer, asbestosis can be just as deadly, as asbestos fibers inflict scarring on the lung tissue and trigger breathing problems. Lung cancer—Smoking is often identified as the primary cause of lung cancer, but long-term, regular exposure to asbestos can increase a person’s risk of developing the disease. All of us are at risk of asbestos exposure and any illnesses it causes. After all, it was widely in use for the construction of buildings and manufacture of many products for decades. For all we know, we live in a building built with asbestos-contaminated cement. So if you’re thinking about drilling a hole or banging a nail into your concrete wall to hang a picture frame or something, know that your risk of inhaling asbestos fibers will likely increase. Whatever danger we think we’re in, our level of exposure to asbestos is nothing compared to workers who handle asbestos daily as part of their job. Those in the construction industry have a higher likelihood of inhaling asbestos fibers, and so do those who work in factories where products that typically contain asbestos are produced. Even our uniformed men and women are in constant danger from asbestos exposure, especially those who work on submarines, frigates, destroyers, cruisers, battleships, aircraft carriers, and other military vessels. The United States may have imposed restrictions on the manufacture and use of asbestos, but believe it or not, it has yet to impose a general ban similar to the one being implemented by the United Kingdom, Canada, Australia, and the countries of the European Union. That means despite the general public being fully aware of what asbestos exposure can do to all of us, the importation and use of asbestos for gaskets, fireproofing materials, friction products, roofing materials, and other everyday materials continue in the United States. With the Environmental Protection Agency issuing last year a new use rule that encourages manufacturers to seek EPA approval of any new asbestos product on a case-by-case basis, asbestos is poised to make a big comeback in the US. One of the scariest things about asbestos-related illnesses is that they don’t immediately manifest after exposure. In many cases, diagnosis only came at least ten years after their initial exposure. That’s why we all must take great pains to protect ourselves from inhaling asbestos fibers. If you live in an old home or building, there’s always the possibility that the materials used in its construction contain asbestos. So if possible, avoid damaging or disturbing spots that are likely to contain asbestos, such as insulation on pipes in the basement. In fact if you are going to be selling a home it might be wise to have the asbestos removed unless it is in perfect condition. Real Estate agents like to say that for some buyers the presence of asbestos could be a home inspection deal breaker. The presence of asbestos will be checked by any professional inspector during the buyer’s due diligence period. The inspector won’t be able to say for sure if there is asbestos but they will be able to say they suspect it to be present. If you want to be sure, have your home inspected by professionals for asbestos abatement. They have the necessary skills, experience, and tools to test asbestos levels in your home and remove any trace of the mineral once they do find high levels of it. 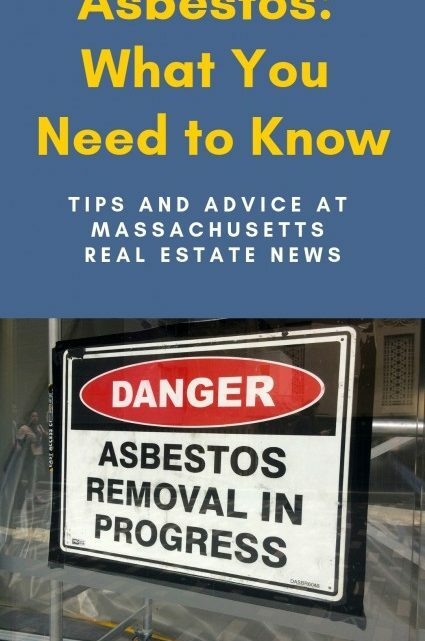 And if you’re not open to the idea of hiring asbestos abatement professionals, then the best thing that you can do is to never even think about remove asbestos-contaminated materials by yourself. Your risk of asbestos exposure will only become higher if you do DIY asbestos removal just to save a few bucks. It’s been decades since the world became aware of the dangers of asbestos exposure, but our risk for it continues to be significant, and will even increase with the EPA’s move to actually entertain petitions for the approval of new asbestos products. What buyers should do before purchasing a home – see the steps you should take before you start to look at homes such as getting your finances squared away, picking a lender and more. Pros and cons of using an architect – are you going to be building your own home? See the upsides and downsides of using an architect when building a house. Common home seller mistakes – when selling a house for the first time it is easy to make mistakes. See what not to do when you are going to be selling your home. Never accept dual agency as a buyer or seller – when buying or selling a home you should reject dual agency. The only person who benefits from single agent dual agency is the real estate agent. The above real estate resources are loaded with helpful information when you will be buying or selling a home. Use the information to make the best decisions possible. 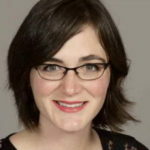 About the author: Judy Olsen is the Content Marketing Strategist for ASAP Restoration LLC, a company that specializes in damage restoration, asbestos, and mold removal/testing and playing bowling with family and friends.